Ericsson announced that its 5G Radio Access Network (RAN) software, based on the recently approved first 3GPP 5G New Radio (NR) standard, will be commercially available by Q4 2018, paving the way for operators to launch commercial services in 2019. 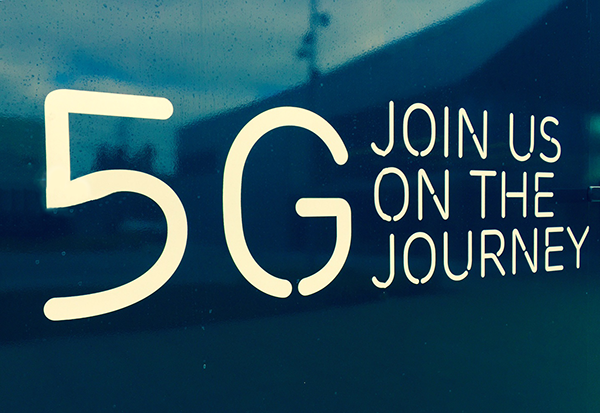 The 5G radio network software complements Ericsson’s already launched baseband and 5G radios. The company says all of the base radios from the Ericsson Radio System delivered since 2015 will be 5G NR-capable by a remote software installation. Ericsson’s 5G radio network software promises multi-band support for global deployment and will allow operators to use new frequency spectrum as it becomes available. It also introduces a new category of radio products called Street Macro – a new site type that addresses the need of operators to grow in cities with limited available radio locations. The idea is to place radios on building facades with a smaller footprint but the necessary strength to secure network efficiency and coverage. Ericsson is also adding new radios with Massive MIMO technology. Ericsson also announced enhancements to its Distributed Cloud architecture, which support cloud application deployment across multiple sites - central, distributed, and edge. The design can be managed, orchestrated, and perceived as one solution in what the company calls "Software Defined Infrastructure (SDI) to the edge". In addition, the Ericsson Distributed Cloud will add support for hardware options in a multi-vendor framework. Switch backs Gigawatt Nevada -- largest solar project in U.S.
Plans were unveiled for Gigawatt Nevada, an initiative to build the single largest solar project portfolio in the United States, by Switch and Capital Dynamics. Switch is a leading co-location data center operator with massive facilities in Nevada including its flagship campus in Las Vegas and a new campus in Reno. The company also has a marquee data center in Grand Rapids, Michigan and is building another regional data center in Atlanta. The Gigawatt 1 assets will be owned and developed by Capital Dynamics, the second largest owner of solar projects in the country. Gigawatt 1 anchor tenants will include Switch and several of its Switch CORE client. The project is negotiating with multiple private and public sector access customers within Nevada and outside the state. Gigawatt 1 is projecting energy costs substantially less than the renewable energy from NV Energy (Nevada Power). ZTE clinched a 70% share of the first stage of Rostelecom's the access network modernization project. ZTE's Multi-Service Access Network (MSAN) product delivers VDSL. Rostelcom is currently testing G.vectoring and G.fast for deployment in a second stage of its upgrade project. ZTE noted that its access products are equipped with lithium batteries to endure the harsh outdoor environments in Rostelcom's territory, including extreme low-temperature. Its customized outdoor cabinets are cold-resistant, water-proof, moisture-resistant and dust-proof. Rostelecom is Russia's leading broadband and pay-TV provider with over 12.7 million fixed-line broadband subscribers and over 9.7 million pay-TV subscribers, over 4.7 million of which are subscribed to its IPTV service.